Paleo Food List > Is Watermelon Paleo? 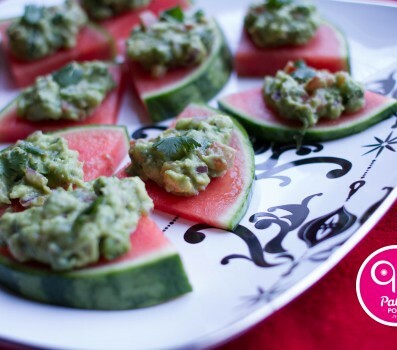 Watermelon is a fruit, and as such, can make a delicious addition to a Paleo lifestyle. The best thing about eating plants is they tend to come loaded with antioxidants. Watermelon in particular has been studied for its citruline content, a particular type of antioxidant that is known to help relax blood vessles, which is good news for anyone wanting to avoid a heart attack or stroke. Like most fruits, watermelon is high in vitamin C, but it contains minimal amounts of other nutrients. It’s also very high in sugar, which, though still a better option than anything with cane sugar or high-fructose corn syrup, can be enough to disrupt some people’s health goals. Mark Sisson put melon in the “worst” category in his list of best and worst fruits to eat on a low-carb diet.